Try our FREE Juice Detox! An old-time favorite made just that much better with this Sweetened Orange Juice recipe! More than just Vitamin C, this orange juice is high in fiber since we use the whole orange. Add the desired amount of sweetener to taste, especially if your oranges are not super ripe/sweet. Ideally high quality rip oranges will make the best orange juice. Make this fresh and easy juice recipe in your high powered blender for your next Sunday brunch gathering! Blendtec: Press the SOUP button. Vitamix: Select VARIABLE, speed #1. Turn machine on and slowly increase speed to VARIABLE, speed #10/HIGH. Blend for 1 minute or until smooth. Serve immediately. Christopher Columbus brought the first orange seeds and seedlings to the New World on his second voyage in 1493! After chocolate and vanilla, orange is the word’s favorite flavor. 🙂 Eat oranges to stay young and healthy! Oranges are high in antioxidants, which neutralize the effects of free radicals, which are unstable oxygen molecules in your body, believed to cause aging and some diseases. Hi, Ricky! Thanks for catching that! You can definitely use the smoothie button to make this delicious Orange juice. 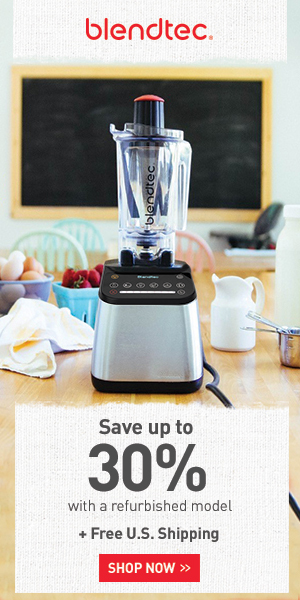 Do you have a Blendtec? Please try the recipe and let me know how you enjoyed it.